Bone grafting is usually done in order to restore the bone to its previous form, before gum disease, trauma or tooth loss damaged your teeth. The procedure also helps maintain bone structure after tooth extraction too. Restoring and maintaining facial bone structure is important for many reasons and bone grafting in Tustin, CA, is easily achieved by our periodontal laser specialist, Dr. Ramyar Elyassian, who also serves the Orange County area. Bone grafting procedures help place a framework of material where the missing bone once used to be located. This allows cells to enter and start the important rebuilding process. Over a period of time, cells will remodel the graft material into functioning bone for a patient. This procedure is especially important for those that are looking to have dental implants planted in their mouth and don’t’ have the proper jaw bone density to handle the healing process well. Bone grafting material comes from many places such as places in the patient’s body and transplanted to the desired place. Good graft material contains the patient’s actual cells and has no risk of transmitting disease. Bone grafting in Orange County and Tustin is a readily available treatment and doesn’t require a second surgical site. It has been proven to be effective in patients of all ages. Not only in its success, but also in its safety. 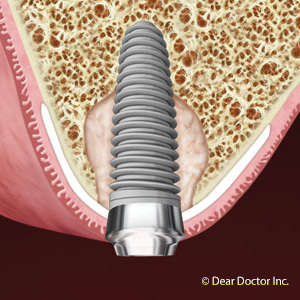 Ultimately, once the bone graft is complete, the rest of the dental implant surgery can proceed successfully. This procedure is a bridge in order to a brand a new and improved smile. To learn more about bone grafting in Orange County and Tustin, CA, schedule an appointment with our experienced and professional Dr. Elyassian today by calling 714-730-3746. He is ready and willing to examine your teeth, thoroughly, in order to determine whether or not bone grafting is a viable treatment option for you. He is just a phone call away.